I was listening to that EP on my way out last night (while passing all the trick 'r treaters!) It certainly set the Halloween mood. It does, doesn't it? I can see "What Is Worse" being used for a kickass vampire movie (Like a new Underworld movie!). What are your thoughts? Aw, HELL YES!!!!!!!!!!!! I hope Collide gets chosen again And SPC ECO'S "What Is Worse". 'Destroyer', 'Beyond', and the instrumental of 'Rain'. Meiko - Break It, Break It! Project Diva F 2nd has renewed my Vocaloid obsession, though for some reason I've suddenly become rather fond of Kaito. The best villains sing catchy songs while they plan to murder children with a poisoned cake. 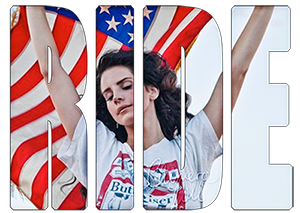 Just got into Lana even more. She's amazing.